The Lancashire County Council’s next generation broadband plan allows BT, its business partner, to duplicate large areas where community-owned network operator B4RN is building a fibre to the home network, driven by frustration with BT and LCC delays. 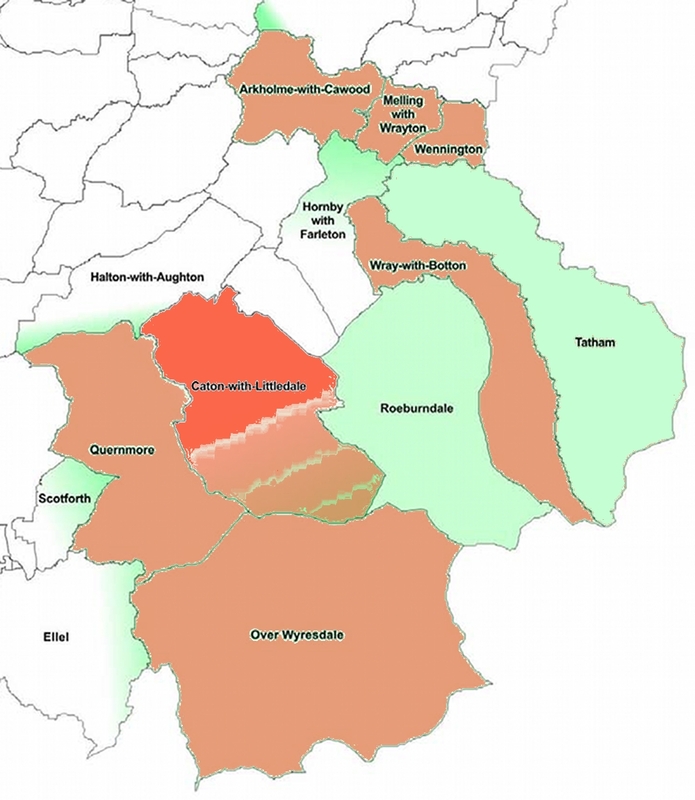 A LCC target calls for “A pilot project covering seven Lancaster rural parishes offering fibre based SFBB to a minimum of 73% of premises with viable options to increase coverage to close to 100%.” The LCC website does not disclose the lucky parishes. However, sources say they are, by and large, the same as those B4RN intends to cover. This is of course entirely predictable and expected. BT responds only to competition. Its fibre footprint mirrors Virgin Media’s cable TV footprint, and where competitors have raised their heads, whether with wireless or fibre, BT has been ruthless in eliminating the opposition (see West Sussex, Ewhurst, and others). B4RN plans to give about 1500 homes and farms a 1000Mbps symmetric service via a fibre to the home link from July. The LCC expects BT to deliver an asymmetric service of more than 30Mbps to 97% of all businesses and homes, 647,000 premises. They are still “exploring options” about how to get “SFBB” to the remaining 3%, which is where B4RN operates. B4RN co-founder Chris Conder says BT’s deal with LCC deal is actually quite subtle. The LCC plan misses Tatham, which is hard to service as it is difficult upland terrain. Population density is very low, and there’s very little copper cable. “Most of them are on DACS (digital to analogue converters) up there,” she says. “The exchange is in Yorkshire.” Any high speed broadband service to Tatham is likely to be via satellite. BT may duplicate around 90% of B4RN’s footprint. However, LCC’s inclusion of Caton skews the “homes passed” figure for the area. Conder says Caton, a low-land area with an exchange and two street cabinets, adds around 1400 homes to BT’s figures, apparently halving the duplication rate. Conder says B4RN left Caton out of its plan because it had an exchange. “All our area is too far from exchanges to get a decent connection,” she says. Be that as it may, the LCC plan contains an implicit assumption that Lancashire farms are not businesses. If they were so considered, BT would be committed to provide prioritised “fibre based SFBB (superfast broadband) at speeds of up to 80Mbs to 100Mbs” to 90% of businesses. Faced with the same issue, North Yorkshire councils refused to accept a report on how to next generation broadband in their area. BT played a lead role in creating the tipping point that led to B4RN’s formation. Now it may be forced to work with instead of against it. The LCC’s plan injuncts “potential partners” to design a solution that they “design a sustainable solution” for rural communities the LCC sees as “the vanguard rural communities” for early rollout. The LCC pitched against B4RN for funding from the Defra Rural Development Fund, so it may not think B4RN, which has the public support of the EU’s Digital Agenda boss Nellie Kroes, is part of the “vanguard”. There is a question whether BT will qualify under state aid rules to use taxpayers’ money in B4RN areas. If it can’t, it’s going to be expensive. 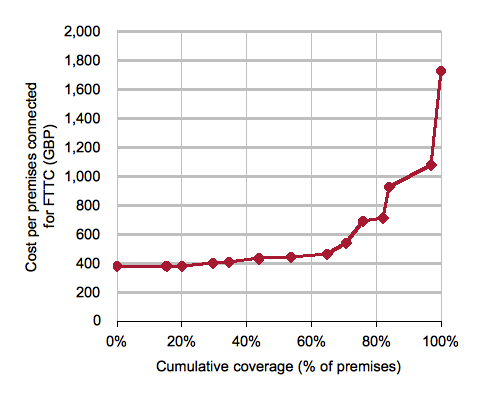 An LCC graph of the costs of providing nextgen broadband to the “Final Third” shows that the per connection cost rises from around £450 to £1750. That puts BT’s bill for competing with B4RN at a minimum of £3.0m. B4RN says it can provide a far superior service for £2m. I think B4RN may not be for sale. Perhaps the community voted with its money and feet when it supported B4RN? Any proposed purchaser would have to consider the cost of acquiring all the necessary wayleaves, and whether the company “could” be sold. A cooperative approach, where BT helps B4RN could be the productive way out for all concerned here. Let the good times roll. You are right Rob, a co-operative approach is always the best, and our company can’t be sold, it will always belong to the community, and its profits will return to that community. The structures (hate to use the word cabinets) for our hubs were delivered and installation started this week, ( http://b4rn.org.uk/digital-parish-hubs ) ducting is being buried, and its a classic case of JFDI, Just Farmers Doing IT which as Ian pointed out is just what Neelie Kroes loves to see. Lancashire could lead the way, like we did in the industrial revolution. A bit of co-operation is all IT takes. … do join us, together we are building a network of people, full of fibre.